Just back from Healthfest 2016 in Marshall, Texas. While I have one foot out the door for another speaking engagement, I can’t let another minute go by without reporting in to you about Healthfest with a few snapshots. Then I’m on the way today to Sacramento to speak to the enthusiastic crowd an Interfaith Meatless Monday – a group with a cause dear to my heart. That cause? The importance of eating plants instead of animals for the pure simple fact that we need do so to reverse the enormous weight of environmental destruction that animal agriculture has on our planet. 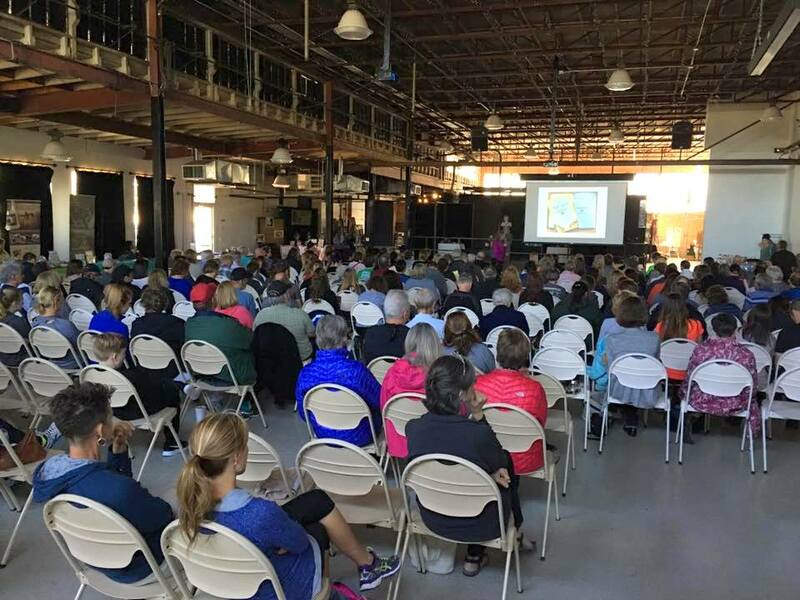 Healtfhfest 2015 was spectacular – yet this year’s event took everything up a notch. 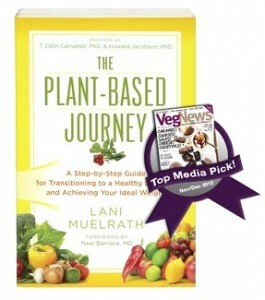 For one thing, this year The Plant-Based Journey is PUBLISHED and thriving in hearts, hands, and the marketplace – so I was able to have stacks of copies with me – which by the way sold out at soon after The Five Steps of Universal Transition to Plant-Based Nutrition. Thank you to everyone who introduced yourself to me, and came by to say hi! In the video above, you may recognize Jill McKeever from Simple Daily Recipes – and if you hadn’t gotten a chance to catch our conversation on Habits, Sugar, and The Plant-Based Journey on Simple Daily Recipes TV – now’s your chance to catch up. 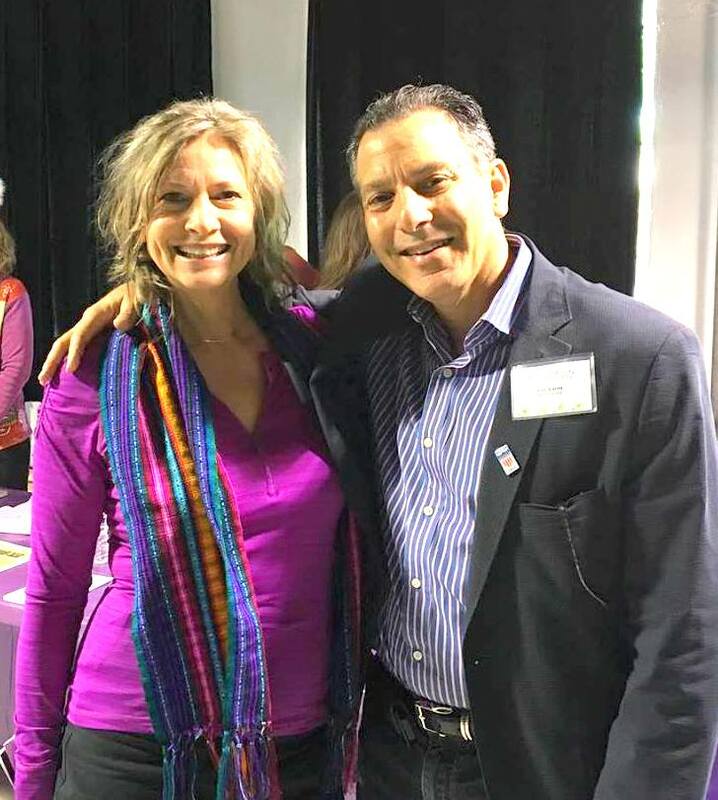 At this year’s event I had the honor to speak in the Visual Arts Center- a full house and plenty of excitement about plant-based living. Thanks to everyone who came out, asked questions, joined me in a mini fitness break (see short clip directly below) and poured buckets of your southern hospitality in my direction! Our stash of The Plant-Based Journey sold out before the third day of the event, thank you for your enthusiastic support! 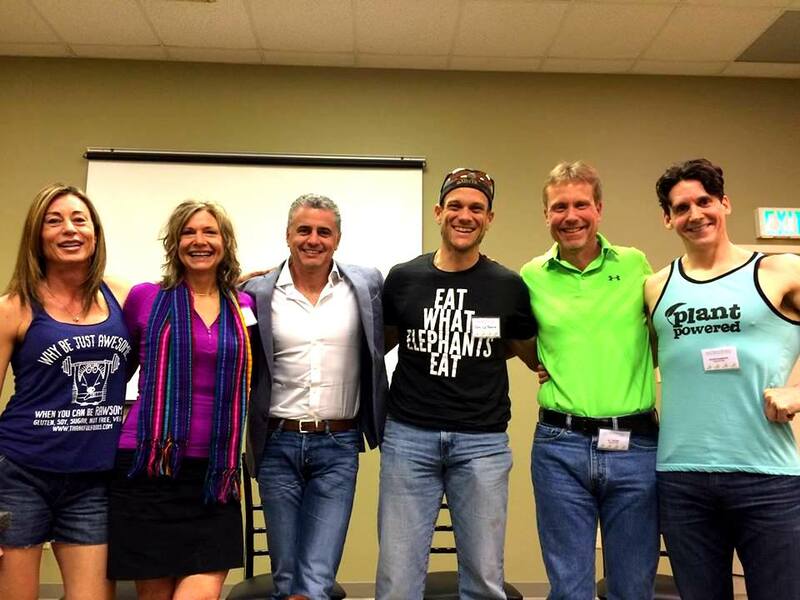 Asked to be on the Athlete’s Expert panel, I had the sublime opportunity to rub elbows up front with Garth Davis (author of Proteinaholic), Josh LaJuanie, BJ Tucker, and several other accomplished vegan athletes. While the others on the panel are marathoners, weight lifters, and ultra-whatevers, I had to remind them that I am more a fitness enthusiast. Yes, I’ll run, hike, bike, scuba, and amble with the best of them – good thing I was there to balance out the ultras. 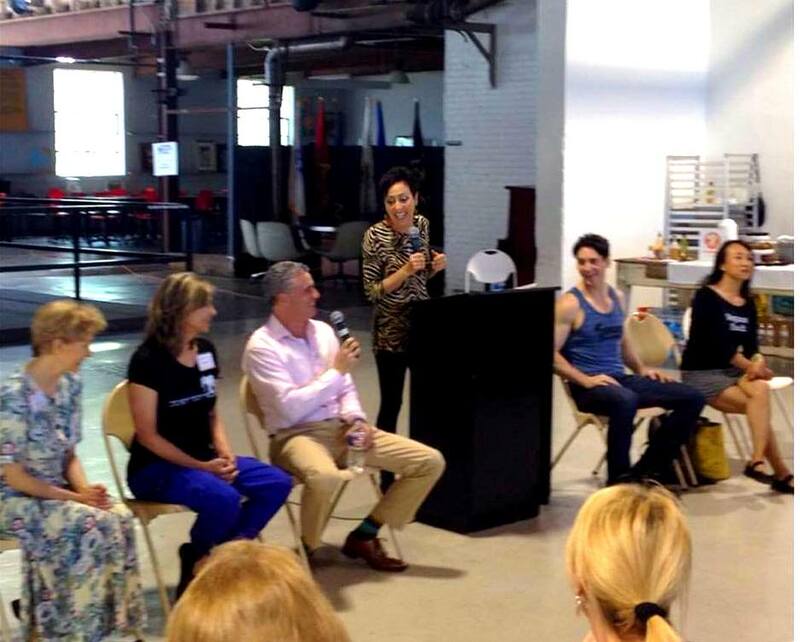 The final event of Healthfest was the Plant-Based Experts panel, which included, from left to right, Linda Carney, M.D., yours truly, Garth Davis, M.D., moderator Chef AJ, Austin Barbisch, and Miyoko Schinner. I always find it delicious to debunk myths about plant-based eating and underscore over and over again how easy and delicious it is. And how easy it is to get your protein! A highlight of this year’s Healthfest was working with the Boys and Girls Club of Marshall, TX, on their food cart project. 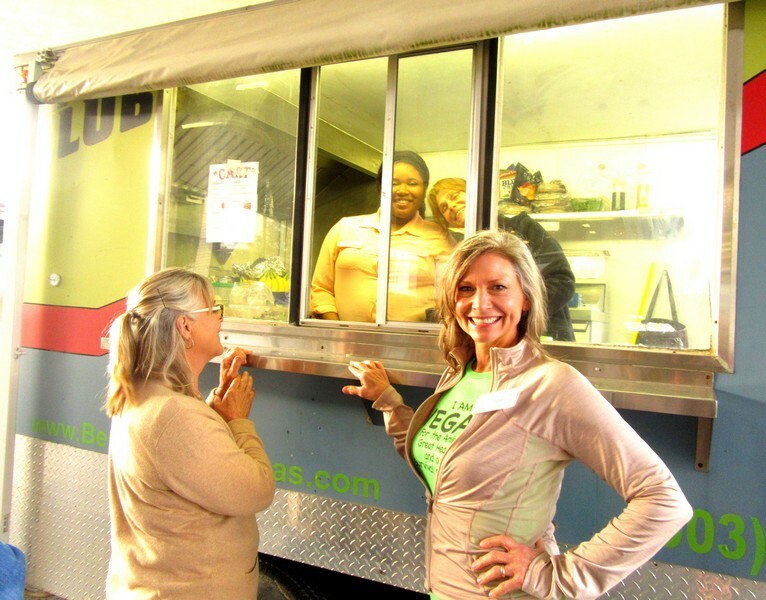 I worked with Bryan Partee, head of the organization, and the students, in advance with recipes from The Plant-Based Journey and the food truck was a runaway hit! Parked right outside the main building, it was convenient, cheap, and so well prepared! The Club food cart prepared and served Portobello Pot Roast, Buddha Bowls, Pumpkin Muffins, and Oats with Sweet Bean Cream – all delightful eats from Journey and they did an excellent job. This snapshot is a screen capture from a short video taken in front of the truck, with a line of hungry event goers including myself on the right. Congrats to the Boys and Girls Club and I hope you made a pile of cash for the cause! There was not shortage of plant-based glitterati at Healthfest 2016 – the speakers roster included, in addition to those already mentioned, Neal Barnard, M.D., Michael Greger, M.D., Joel Kahn, M.D. and Victoria Moran, for starters. You can see the complete list of speakers for Healthfest 2016 here. Joel Kahn, M.D., aka America’s Heart Attack Prevention Doctor – has a thriving cardiology practice in Detroit, Michigan – and is the inspiration behind the very active Plant-Based Nutrition Support Group there. 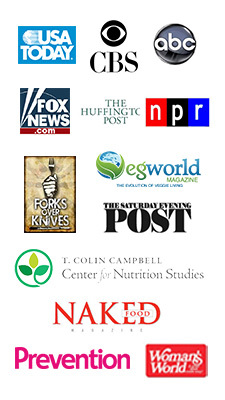 Other speakers in the PBNSG lineup are Michael Greger, Joel Fuhrman, Julieanna Hever, Pam Popper, Rich Roll. Not a bad act to follow. In a few days I will be flying to Michigan to speak to the Group and present to the Wayne State University School of Medicine Students as well. Can you imagine? PLUS Dr. Kahn has just opened Green Space Cafe – which serves ALL plants ALL the time. So I know where I’m heading first! 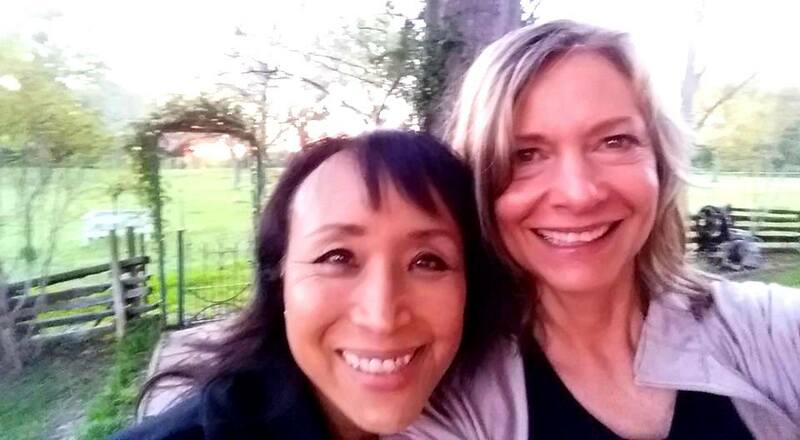 My travel buddy was Miyoko Schinner (above). We flew to Healhfest together from San Francisco and were treated with utmost southern hospitatity by the Anderson family who reside in a massive old plantation home on 400 acres outside Marshall. 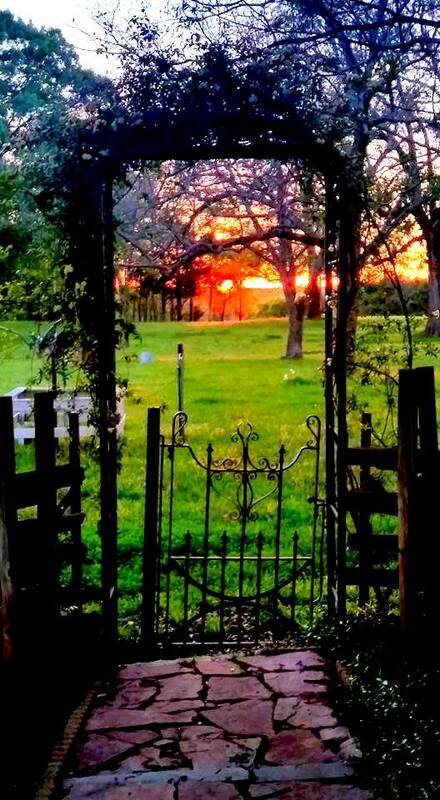 We were able to run with the dogs every morning, and enjoy the unique beauty of the south – including sunsets from the front porch. Gotta run – grab some veggie-miso-bean thread soup and hit the road for the gig in Davis. 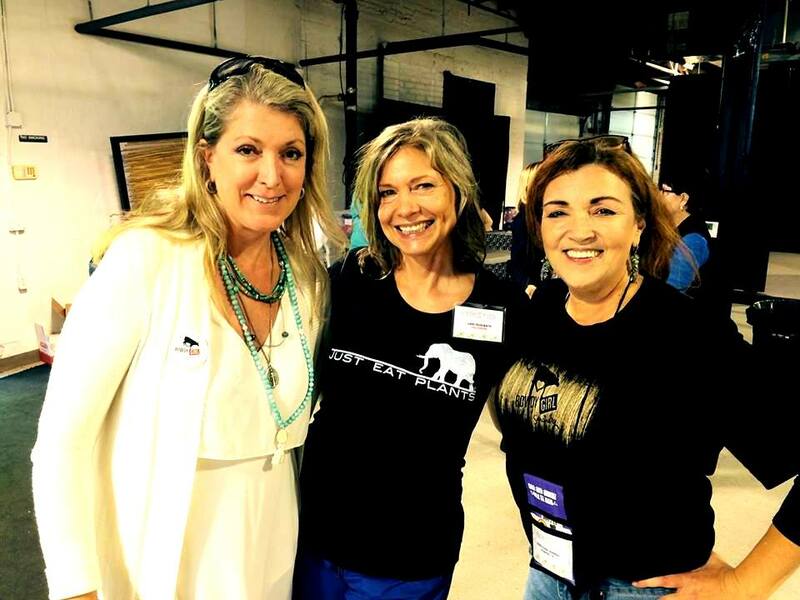 If you have considered Healthfest in the past but haven’t made it yet to this very, very fun event – dates are just about to be set for next springs event! And if you are anywhere near Michigan, maybe I’ll see you in a week! Be sure to introduce yourself! Andrea, I am so glad you patroned the truck! Wasn’t the food great? And how did we get through the weekend without a picture of the three of us? I would definitely have put a picture of you, me and Heath if we had. D’oh! And the video snapshot I will hopefully be able to replace with the short video itself – it’s just a few seconds in length, and Jill from Simple Daily has sent me the clip via DropBox, but my dropbox is too full so working on it! I’ll let you know when I get the video up to replace the still. Thank you for stopping in to post! Andrea, the still shot of the B and G Club truck I have just replaced with a short video – how fun to have you in the footage! Yay! 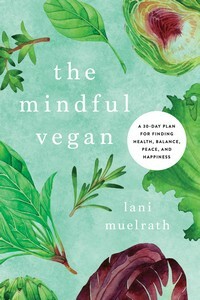 You look great Lani and I wish you would come to Chicago for some event.I am the only vegetarian in my circle of family and friends.Thanks for the ongoing support. Chicago would be great! Have you any festivals or events there? It can be daunting to be ‘the only one’ and these events are very exciting and edifying! Maybe Michigan is not thaaaat far? Thanks for much for your cheery note and kind enthusiasm!